The Video Control Room project that Alpha Video completed at the Churchill Downs Race Track in Louisville, KY was covered in the September issue of Sound & Communications Magazine. 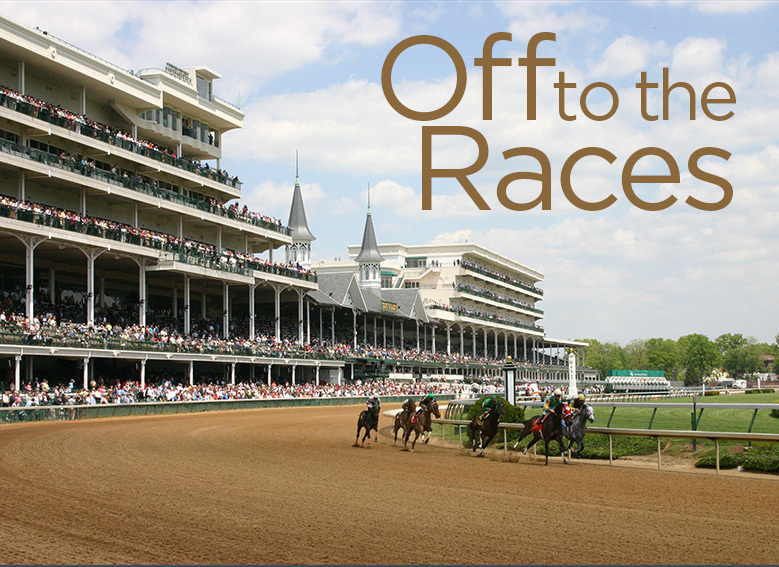 The entire article can be read at http://www.soundandcommunications.com/churchill-downs-modernizes/. Below are highlights from the article. According to Volk (Jeff Volk, VP for the Alpha Video Sports & Entertainment Division), this was a design/build project for the integrator. “We had an existing relationship with Van Wagner Big Screen Networks staff,” he explained. Moving on to audio upgrade, additional components were rather minimal. EtherSound/MADI I/O expansion cards were added to two existing Yamaha 16-channel mixers, along with MADI interface cards. Each control room has newly added JBL 2P self-powered speaker systems. The audio in facilities of this type is pretty straightforward, It sources from the house PA for the big board show, then that mixes in the track announcer, some other audio we take from the main audio feed and the simulcast show that goes around the world. So, it’s a submix in the production facility, coming via tie lines to the main sound system. Focusrite RedNet bridges provide interfaces from the house audio system to the audio production systems. Speaking of related tie lines, one part of the project that Alpha Video undertook was to totally revamp all the of the facility’s broadcast cabling infrastructure. “Thus, all of the camera boxes around the track are triax and fiber,” said Volk. 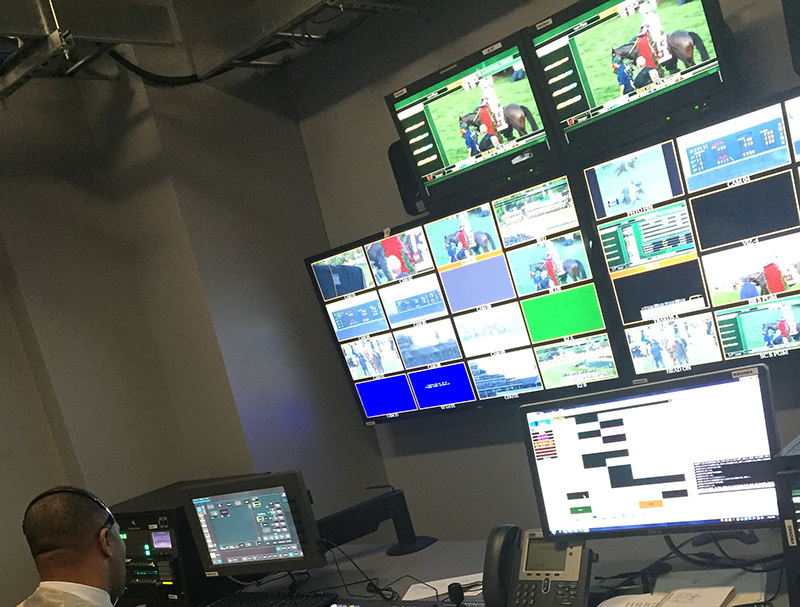 “All the connectivity used by both the track for its production and the venue’s television partners who come in for Derby Week has been revamped.” Furthermore, all of the Churchill Downs camera systems come into the main Evertz facility router and are on a shared feed with the TV truck. From there, the facility router feeds the big board control room and the adjoining simulcast control room. Each room is equipped with a Grass Valley Karrera production switcher. Within the adjoining replay room, the Evertz router feeds the Abekas Mira video replay system that provides the slow-mo replay for the big board show and the simulcast show. Simulcast control has a series of owner-furnished graphic boxes that tie to wagering and betting. Big board control has an owner-furnished Vizrt character generator for its graphic content. In order for the steward to make crucial decisions, the top-floor steward’s room has camera feeds for such dramatic events as a photo finish, a penalty or some sort of infraction during a race. Summing up, Volk pointed out that the Evertz facility router is the core of the entire AV system. 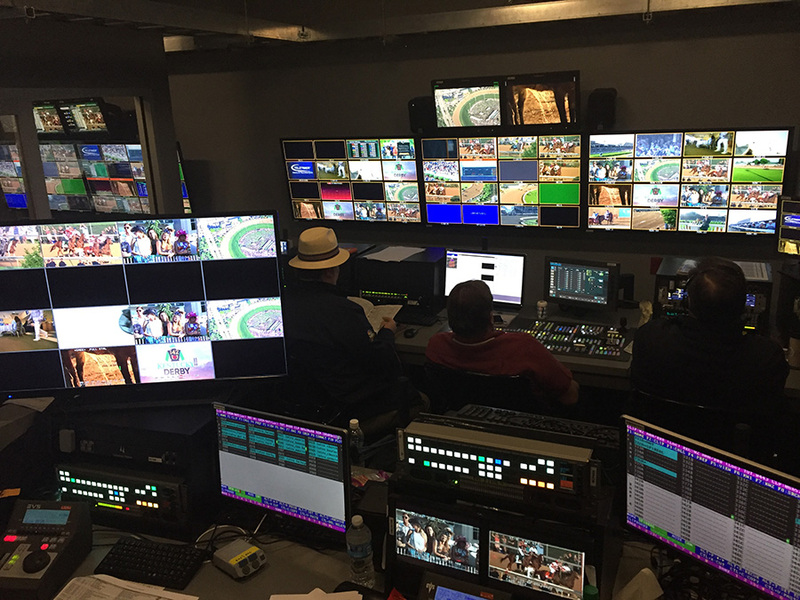 It feeds the two control rooms, the replay area, the engineering area and the truck dock feed area for national and local broadcasters, as well as transmission via satellite beamed to all tracks around the country. AJA digital disk recorder/players are provided for confidence feeds, including recording a show and isolated camera feeds. AJA FIDO fiberoptic transmission takes HD-SDI signals and sends/receives them over single-mode fiber infrastructure to various sites throughout the track. Leviton Cat6 patch panels in the control rooms patch all network equipment into the system. Similarly, there’s full connectivity for audio in the facility via Bittree audio patch bays. Avocent HMX computer interface and network manager technology enables computers in the system to be accessed anywhere from any production location. Stealth mini PCs facilitate engineering tasks. Regarding various control room AV production monitors, there are Marshall audio and video monitors, Ikegami LCDs and LEDs and a bevy of NEC 50-inch HD LCD monitors supported by Chief mounts. Audio intercom equipment includes hardwired Bosch with Telex interface cards and Clear-Com FreeSpeak II wireless allowing production people to move about the track. Middle Atlantic equipment racks are located in the rack room adjacent to the main control room. “It was a great project to be associated with,” said Volk. “We were able to help Churchill Downs streamline its production operations and move it from a trailer and a small AV closet on another level, and increase production capabilities for the fans in this venue that are on the big board, and for people who are betting on races both at the track and around the world. I think it’s a giant leap forward for Churchill Downs in terms of production quality and capabilities.